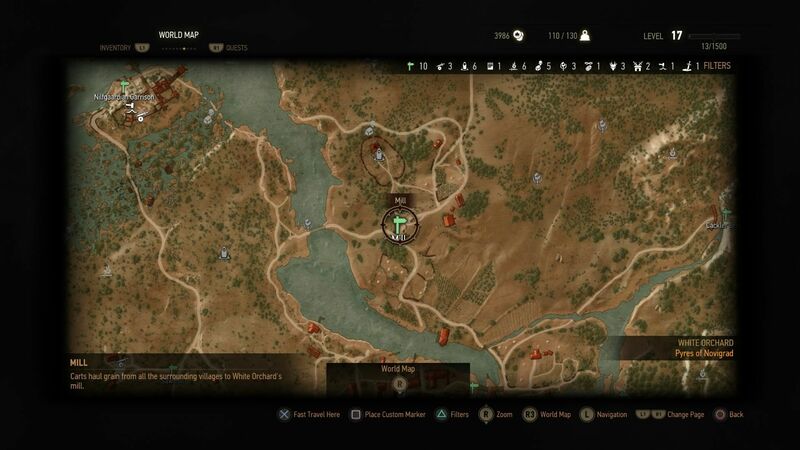 Mill is a location in Witcher 3: Wild Hunt. Mill is located southeast of the Nilfgaardian Garrison and north of Woesong Bridge in White Orchard. "Carts haul grain from all the surrounding villages to White Orchard's mill."